Blackness Automaattinen Vyö | Collin Rowe | Varastossa! Tyylikäs vyö tekonahkaa. Klassinen muotoilu sopii jokaiselle. Saat vyön tyylikkäällä soljella joka sopii joka tilaisuuteen! Belt is very elegantly finished. With solid buckle and leather quality, perfect appearance. Personally I think the buckle mechanism and therefore the belt is a bit on the heavy side. The mechanism works well, but is not always easy to un-lock. Beautiful belt, it is exactly as in the photo. 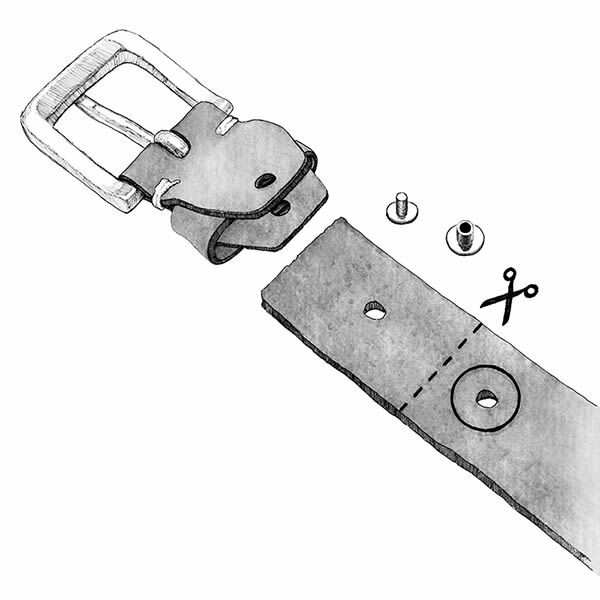 The mechanism is different from the usual belts but it is very practical. We take the shot quickly. I recommend it. I discovered this site recently, and tried to do some shopping, there were 3 leather belts, 1 leather bracelet, and a pocket handkerchief. Well I was highly satisfied, high quality material and, is exactly what you see in the photography of the site, detailed information about each article, finally a site to visit .... and shopping. It is worth it, and TRENDHIM staff, is always informing about the order until it reaches our hands, thank you personally for having idea in the creation of the site. I like the product. Strong and beautiful too. I recommend to everyone! Very good. I'm happy with it. I like the product very much. Good as it is! It's a nice sharpness, but the buckle feels just too big and kind of clumsy; It builds too much. The locking mechanism that sits inside the sharpener consists of a plastic strip, which in my eyes does not keep it in the long run. Had wished me several pictures that could show the buckle from different directions. Good and nice products, fast shipping. Very good & quality zone at fairly good price. Not disappointed by the belt, very good quality. Parcel received within the given time (short and respected deadline in this Christmas period). This gift pleased my husband and loves the automatic belt principle. I recommend this site without problem !!! Product as expected and fine quality. Seems you provide a good service. The belt I bought for my girlfriend in Christmas presents up to my expectations. And, of course, my boyfriend was also very happy. It's probably not the last time we shop with you. Very good quality ... Completely satisfied. Delivery requested by simple mail, and received within the announced deadlines.